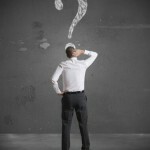 Why Are Purchase Orders Important? The simple answer to this question is that an effective purchase order is an essential component to any successful business. Whether you are just starting your business or you are more experienced, it is important to review your purchase order to verify it is accomplishing your goals. 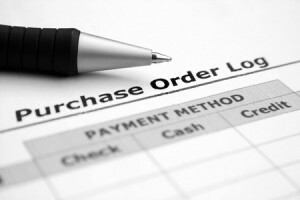 A purchase order is a document sent from a buyer to a supplier requesting an order. The document sets forth the type of item, the quantity and quality requested, and the agreed-upon price. It should also include shipping details and ve information. Purchase orders can range from simple one-page forms that employees can fill out to more complex orders with many details included. When the seller accepts the terms of the purchase order, a legally binding contract is formed which protects both parties. Many entities forego using purchase orders in an effort to increase response time or because they have already established a working relationship with the vendor. However, as your business grows and relationships change, communication challenges can negatively impact your efficiency if purchase orders are not used. The purchase order is a tool that allows the parties to determine where the request went awry, fix any errors and maintain amicable business relations. 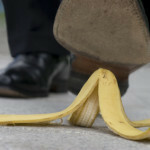 For example, if a product is delivered in unsatisfactory condition, the buyer has documentation that proves what was expected and it reduces the likelihood of legal disputes arising over the issue. If your entity is using a paper procurement process, it can create a lot of paperwork for you to maintain. You may want to consider using digital purchase orders and electronic signatures where available. This allows you to access the purchase records anywhere at any time. Having access to real-time data it an option that companies of all sizes should enjoy. However, the most important thing to remember is that however you handle it, the foundation of procurement success is the purchase order. If you have questions about purchase orders or other business matters, we have the answers. Call us today to schedule your initial consultation. Our office is located in Melbourne, but we proudly serve individuals and businesses across the State of Florida. This entry was posted in Small Business and tagged Business, buyer, Contract, purchase order, seller, supplier on May 27, 2015 by Michael Faro. 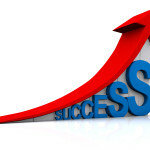 Most entrepreneurs dream of having overnight success. Unfortunately, this is the rare exception. If you are starting your own business, it is important to have patience when it comes to growing your business. When you are able to hire employees, it is imperative that you choose other individuals that are motivated and willing to support you in achieving your goals. It can be difficult for start-up companies to entice top-tier employees to work with them because the company typically cannot offer high salaries, so you may want to get creative with your job offers. For example, you may offer a small ownership in the business or other benefits that the employee would not get elsewhere. Although it is risky to start your own business, you should still take steps to reduce any potential threats to your entity’s ability to succeed and grow. It is important to consult with your business’s insurance provider on how you can accomplish this, as well as taking measures to ensure that your entity can recover if it suffers losses. Your customers or clients must be your top priority. You must focus on creating a customer experience that stands out above the competition. The best advertising and marketing you can get is by word-of-mouth referrals. 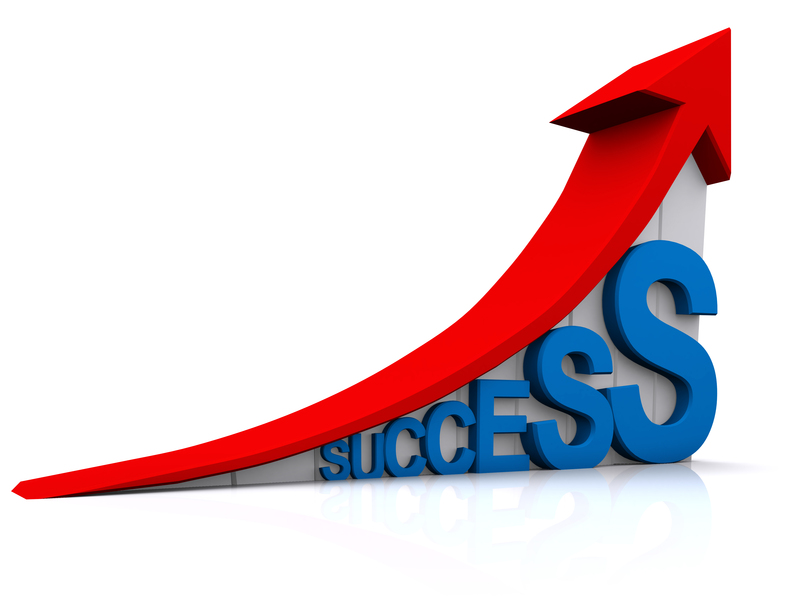 If your existing customers continue to come back and you keep adding new customers, your business will grow much quicker. 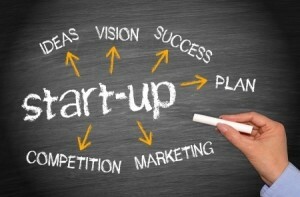 A start-up company must have a plan to keep it grounded and focused on its goals. However, you must also be flexible as things change and be able to adapt if needed. If you are starting a new business and you need advice on how to increase the likelihood of its success, the legal team at Faro & Crowder is ready to help. Our office is located in Melbourne, but we proudly serve businesses across the State of Florida. This entry was posted in Small Business and tagged Business, Entrepreneur, owner, start-up on May 21, 2015 by Michael Faro. Should Your Entity be a Limited Partnership? There are a variety of different legal entities to choose from when you are starting a business. The limited partnership (LP) is an important entity to consider if you want to have partners, but you want to be protected from liability. The LP is typically used by businesses that want to work with a partner on a single project or for a limited period of time. In fact, the LP is commonly used in real estate development projects. The general partner is allowed to manage the daily operations of the construction job while the limited partners invest money. The LP is beneficial for investors who are interested in investing their money while having limited liability. The LP provides protection from lawsuits. If a limited partner is sued, the property owned by the LP is protected. 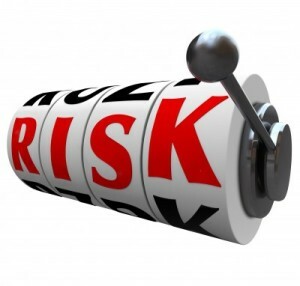 Additionally, if the LP is sued, the limited partners can be shielded from liability. There are a few cons associated with forming a LP. 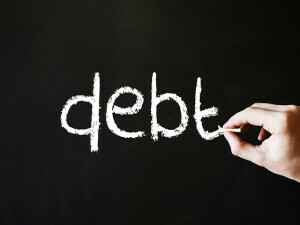 The burden of running the business and the liability for the debts of the LP falls on the general partner. Also, in order to comply with the mandatory corporate formalities that keep the business in good-standing, you must keep up with a significant amount of paperwork. Finally, there is divided power among the partners, which can sometimes lead to difficulties. If you are interested in learning more about forming a LP, contact Faro & Crowder, PA today. This entry was posted in Small Business and tagged Business, legal entity, limited partnership, LP, partner on January 21, 2015 by Michael Faro. If you own a business, it is imperative that you take precautionary measures to protect it legally. In other words, you need a great business attorney and contracts that protect your best interests. There is no easy answer for what legal agreements are the most effective, because every case is different. However, there are three main types of contracts that most businesses can benefit from having in place. 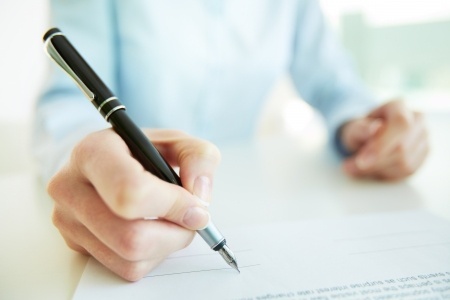 If you own the business with another party or parties, it is important to have a written contract between all of the co-owners. This is true whether you are a LLC, partnership or corporation. Common examples of this type of agreement are operating agreements, shareholders’ agreements, founders’ agreements and partnership agreements. The purpose of ownership agreements is to solidify the deal made between the co-founders. They should cover topics such as ownership percentages, salaries, capital contributions and what happens to the business if the co-owners part ways. 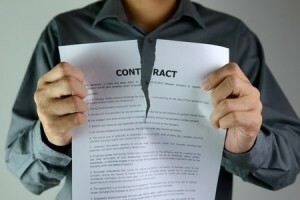 Most businesses only use agreements for their employees, not for their independent contractors. However, an independent contractor may have access to your network, databases, website or financial information. Thus, having a formal agreement is essential to protect you by outlining the job to be performed, a confidentiality agreement to prevent disclosure of your proprietary information and non-solicitation provisions. You should also confirm with legal counsel that you are not treating your independent contractors like employees, because there can be stiff penalties for improper classification. Depending on your industry, you may depend upon vendors and suppliers to meet your customer’s needs. Thus, it is important to have a carefully drafted agreement that helps ensure that your (and your customer’s) needs will be met and that protects if you they are not. 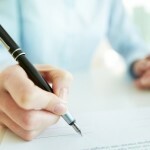 You may also need a contract with your customers outlining the business relationship and providing legal protections. There are other types of contracts that may be necessary to help ensure the success of your business, but the above contracts provide a good place to start. If you have questions regarding the agreements discussed above or you would like to learn more about the legal services we provide, call us to schedule a free consultation. This entry was posted in Consumer Lending, Small Business and tagged agreement, Business, Contract, employee, vendor, worker on December 5, 2014 by Michael Faro. • Don’t rely on oral agreements. When your business is first starting out, people will make promises you want to rely upon. 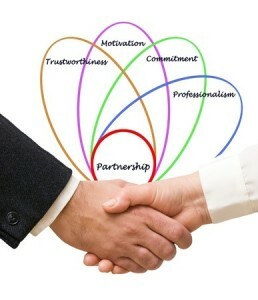 However, having a personal relationship with the other party does not eliminate the need for a written agreement. Don’t think you will be able to just “work it out” if disputes arise. Having a written contract is well worth the time and money. • Patent infringement. Before you spend your life savings on your new idea that is going to take the world by storm, you’d better make sure the idea doesn’t already exist. Patent infringement lawsuits can be expensive. Also, losing your idea after you are heavily invested in it can be devastating. Have a lawyer perform a search to determine if your idea has already been patented or if you should obtain a patent to protect it. • Unfair competition. If you hire employees from your competitor, it can be a huge benefit. However, if your new hire is converting business from his old employer to you, it can cause legal troubles for you. It is important to make sure you are not violating the unfair competition laws that prevent you from using protected information to obtain new accounts. The business world is full of legal traps, so it is imperative that you get help from a seasoned attorney that can protect your best interests. Contact the skilled attorneys at Faro & Crowder to schedule a free consultation. We are located in Melbourne and proudly serve all of Central Florida. This entry was posted in Small Business and tagged Business, legal risks, mistakes, oral agreements, patent infringement, unfair competition on November 28, 2014 by Michael Faro.